“Sapoka” Park (Sapokan Vesipuisto) is located near the sea shore in the town of Kotka (Finland). This is the most beautiful park in the city. Park received numerous awards at various competitions. 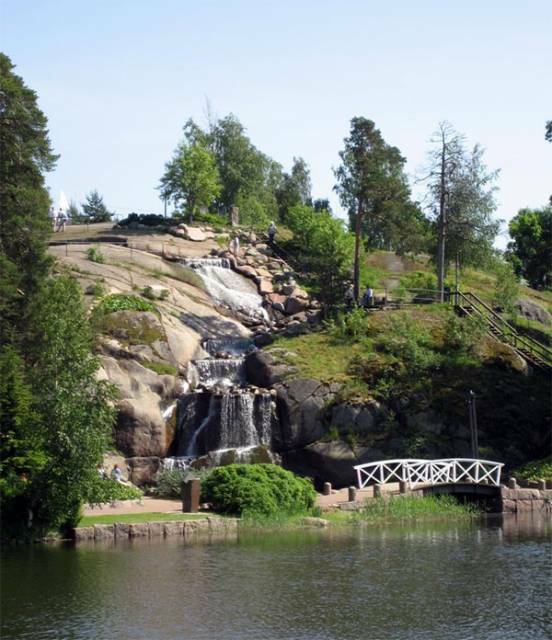 The park has an artificial waterfall about 20 meters height. The park can be reached on foot within a few minutes from the city center. View attractions, hotels and shops location on the tourist map of Kotka.